FROM I-95 Take Martin Luther King Blvd. exit and turn right on to Lancaster Avenue. Take the first right, South Justison Street. We’re located in the large clearing on the left. Our address is 308 Justison Street, Justison Landing Green, Wilmington, DE 19801. Look for our big sign or bright lights! 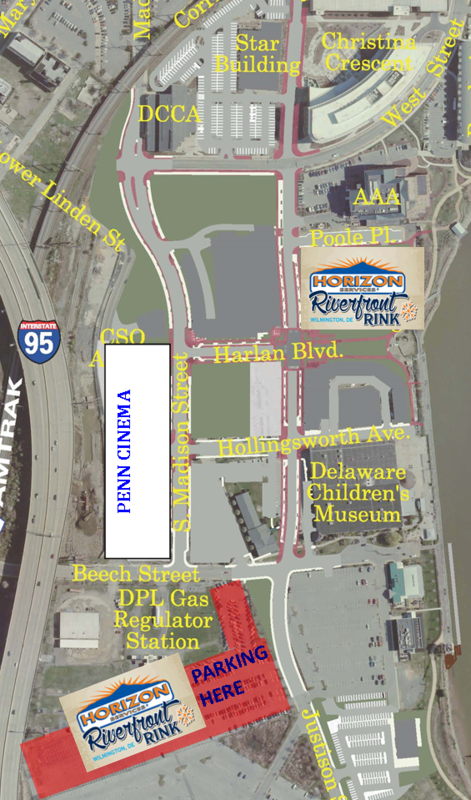 Please use the Riverfront Commuter lot located further down Justison Street, directly across the street from Joe’s Crab Shack and Iron Hill Brewery. For a map of the exact location, please click the link below.